KWHCoin aims to deploy its renewable energy platform to develop an array of generation and distribution solutions for the over 450 million homes globally that classify as off grid. KWHCoin has discovered its niche as a blockchain startup within the developing “Internet of Energy” sector. The renewable energy startup is leveraging its blockchain and global network to lower the cost of energy generation while developing its platform (On the Grid application and website) for the distribution of affordable energy products globally. The Internet of Energy (IOE)is expected to have an estimated value of $22.34 billion by 2020 https://www.marketsandmarkets.com/PressReleases/iot-energy.asp. KWHCoin has positioned itself in the renewable energy domain of cryptocurrency as a major value leader while driving innovation in microfinance and tokenization. KWHCoin is using cryptocurrency to unlock this value by connecting distributed energy resources and people around the world without access to energy generation and solutions. “Our focus is to use cryptocurrency as a liberation technology in the burgeoning off grid consumer market. We all know that there are well over 1.2 billion people that lack energy access and another almost 600 million with unreliable or inconsistent generation and delivery methods. This is a tremendous economic, social, and environmental cost and KWHCoin is committed to developing products and solutions to help mitigate all the friction points preventing these people access,” says KWHCoin CEO Girard Newkirk. There are over 434 million households globally that classify as off grid and in upwards of another 60–100 million households with unreliable energy services. According to the Off-Grid Solar Market Trends Report there are over 434 million households globally without access to electricity. This is the addressable market that KWHCoin and its partners are developing solutions for deployment. In order to provide clarity we will define a few terms so the reader will develop a comprehensive understanding of the addressable market and the challenges facing global electrification. Off Grid Population: Households (or people)that lack access to an electricity connection to the national grid. These households lack direct access to electricity according to surveys and analysis, barring the minority that have access to alternative sources of electricity such as off-grid or mini-grid technologies. The World Bank estimates there are 1.2 billion around the world that classify as “off grid”. Unreliable Grid Population: Households (or people) that have a poor-quality or inconsistent connection to the national electric grid. Although there isn’t a clear statistical metric for analysis, the common measurement for “unreliable grid” households are assumed to receive electricity for less than 12 hours a day. There is less consensus on a clear number but the “unreliable grid” population is estimated between 400 million to as high as 800 million globally. KWHCoin Team members Girard Newkirk, Monica Shepard, Laquandra Phillips, Tyreka Shepard and Tamika Leverette McCall on the campus of North Carolina Central University at African Diaspora Conference presenting its off grid energy solutions. Merging the principles of Pay as You Go with cryptocurrency provide the bones and structure for a dynamic new green economy and KWHCoin is a “thought leader” courageously at the forefront of developing token based models with industry leaders. 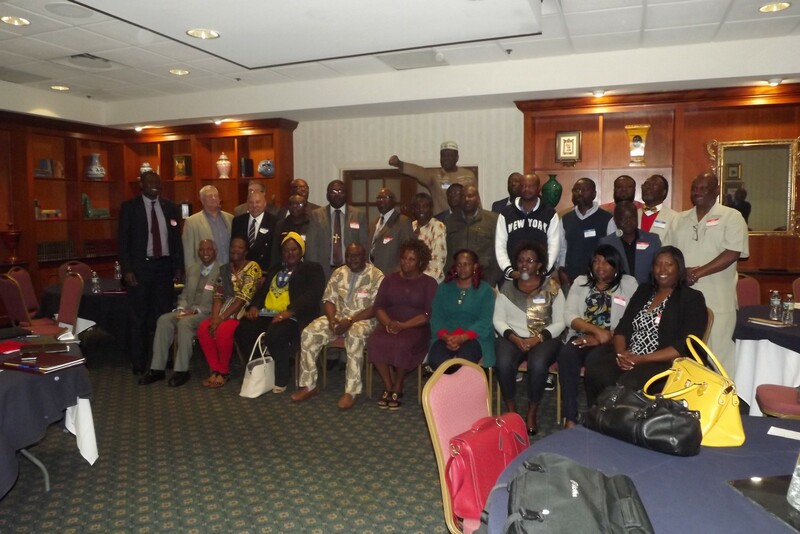 “The tangible components are there we just need to develop the software and hardware infrastructure to revolutionize microfinance in the energy sector,” states CEO Girard Newkirk. The fungible capabilities of KWHCoin (cryptocurrency) as the rapid development of Pay As You Go as a resource with software and product integration lead us to a new and exciting green economy and token based models to make energy access much more affordable while developing network density for KWHCoin as an ecosystem,” says Newkirk. Pay as You Go or (PAYGO) refers to a business model that allows users to pay for their product leveraging embedded consumer financing. A PAYGO company will typically offer a solar product (predominantly solar home systems and multi-light pico devices) for which a customer makes a down payment, followed by regular payments for a term ranging from six months to eight years. Payments are usually made via mobile money, though there are alternative methods that include scratch cards, mobile airtime and cash. KWHCoin is platforming the benefits of a more flexible consumer friendly model of solar home system deployment. This permits the database and efficiency of the KWHCoin blockchain to anchor the development of comprehensive energy solutions and token models that lower risk profiles for potential investors. 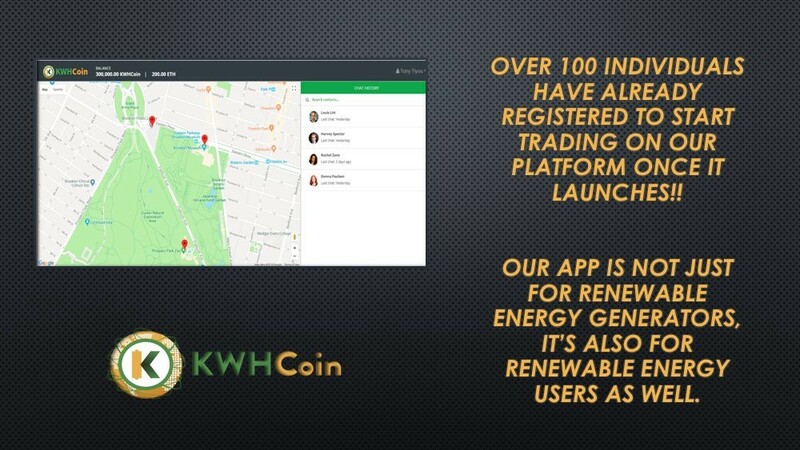 The KWHCoin application (On the Grid) will connect users, energy generation resources, educational tools, energy products and solutions all to its blockchain that can be accessed with just a phone and internet access. In 2017, the global off-grid solar (OGS) sector is providing improved electricity access to an estimated 73 million households, or over 360 million people, thus transforming lives that were previously reliant on kerosene and solid fuels for most of their lighting needs.7 This market has evolved and expanded substantially since 2010, when IFC released its first off-grid lighting report.8 At that stage this was a market marked by low awareness, a single category of lighting-oriented products, and a limited geographical presence (mainly in Sub-Saharan Africa and India). KWHCoin is positioned to take the lead in the green tech cryptocurrency space as it has signed and developed partnerships with multiple companies for platform integration and has rapidly developed local support among municipalities and business leaders. KWHCoin Headquarters in Wilmington, North Carolina.